Mister Miracle #1 opened with a cult-favorite Jack Kirby Fourth World creation attempting suicide and went on to become one of the most critically acclaimed comics in recent memory. 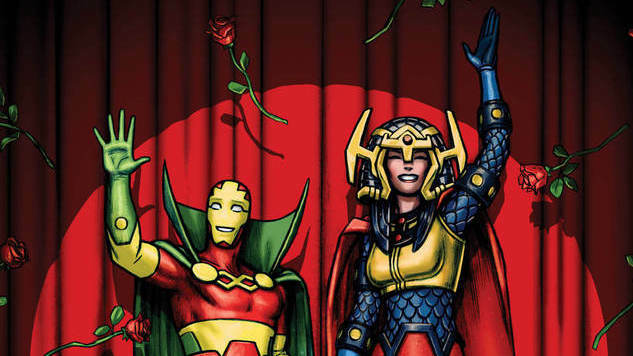 Its balance of interpersonal family drama and cosmic war trauma is perhaps best summed up by an issue in which Mister Miracle and his wife Big Barda navigate a series of deathtraps while discussing how they’d like to remodel their condo. Writer Tom King and artist Mitch Gerads each took home an Eisner Award earlier this year for their work on the 12-issue series, further cementing a partnership that previously wowed on Sheriff of Babylon and key issues of King’s Batman run. On November 14th, after dominating the comics discourse for over a year, the curtains finally close on Mister Miracle as issue #12 hits comic stores and digital retailers. Mister Miracle #11 ended—spoiler alert—with Scott Free seemingly slaying his adopted father Darkseid. Fellow New God Metron appeared in the aftermath and presented the titular hero with a portal to what appeared to be the current DC Universe. The exclusive preview pages below offer some hints at how Scott Free responded to Metron’s offer, but you’ll have to pick up Mister Miracle #12 next Wednesday to find out firsthand how one of the most talked-about comics of the last half-decade wraps it all up. If that isn’t enough Mister Miracle for you, consider escaping back to May 2017 for a reread of Paste’s original announcement interview for the series, in which King and Gerads dig deep into the themes they’ve explored throughout a dozen thought-provoking issues.